If you’re doing a multi-day competition event or even a one day or weekend trail ride, it is important to think about nutrition and hydration for your dirt bike ride. Pre-event planning is critical to ensure your body has adequate fluid and fuel stores before the ride and maintaining it during your ride. Inadequate preparation, especially in competition can lead to early fatigue of your muscles, reduced concentration and reaction time which can affect riding skill levels, which increases the risk of injury. In high-speed situations like desert racing, momentary loss of concentration can have dramatic effects. Here are a few basic guidelines to help your performance and enjoyment during your ride. I am not a nutritionist, so please consult a qualified nutritionist for advice on specific foods and supplements, these are just suggestions that have worked for me. Meals during the week before your ride should be high in carbohydrates and protein. The Australian Institute of Sport recommends in the 36 to 48 hours before an endurance event (and more than 2-3 hours before) you should consume 10-12 g/kg of carbs per 24 hours. Protein requirements depend on the level of activity, but as a general rule, 0.8-1g/kg per day is recommended for recreational endurance athletes. Drink plenty of water and water mixed with hydration supplements in the lead up to an event to keep electrolyte levels up. Fluid needs are higher because of increased sweating due to wearing a lot of protective gear when riding. Keeping track of your fluid loss is important to avoid overheating and dehydration, which can negatively affect your physical and mental performance. Most of the time water is sufficient to replace fluids, but during long and hot racing events, sports drinks can be useful to provide fuel as well as fluid and electrolytes. To check your own hydration levels, monitor the color of your urine. Pale yellow or clear indicates good levels of hydration. Dark yellow indicates you need to drink more water. Everyone is different when it comes to how long before you exercise should you eat. As a general rule have your last big meal 3-4 hours before exercise. If you’re a motocross rider and nerves get the better of you before a race, multiple small snacks or a liquid meal like a fruit smoothy 1-2 hours before the start may be better to avoid an upset stomach. Some riders may struggle with stomach discomfort due to gravitational forces that occur during racing. However, if your last meal is a few hours prior to competing, that should allow sufficient time for digestion. Water should be continued, but in sips only to avoid having to urinate during an event. For an event that is 2.5 hours or longer, it is recommended that you consume 90g of carbs per hour. It’s always good to pack some of these snacks in your hydration pack. Energy bars. Look for one that has ingredients such as whole grains, dried fruit, and nuts. Sandwich with honey or jam and peanut butter. The bread and honey provide carbs, and the peanut butter provides protein. Trail mix of dried fruit and nuts are a concentrated source of carbs. Dried apricots, raisins and prunes also provide potassium. Tin fruit like peaches or pears. Bananas are nature’s fast food, famous for their potassium, but tend to go soggy in a hot backpack. Water and sports drinks are better choices than soft drinks or caffeinated energy drinks for hydration and fuelling. Use a hydration pack to keep fluids up while riding. Alternate between water and sports drinks to maintain electrolyte levels. It is best to use nothing other than pure water in your hydration pack bladder. Bacteria will grow at an alarming rate in the bladder of your hydration pack if you use sugar or sports drinks. You want your body to be ready for the next days riding if doing a multi-day ride. Recovery meals should contain carbs (fuel), protein (muscle repair) and fluids (hydration). Rehydrating with water at the end of the day is important to replenish fluids lost during your riding. At the risk of being the party pooper, avoid consuming alcohol, coffee or tea as they dehydrate you further by increasing urine production. It’s always best to pre-plan the day before and pack your food to take with you. All too often you rush out the door early in the morning after loading the bikes and stop at a service station on the way. You are then limited to what you can get at the servo – meat pies or sausage rolls, potato chips, and soft drinks. If it’s just a one day ride, and on the way home you stop for a burger and chips, by all means, go for it, I do. If you travel extensively for racing, or for a multi-day ride, a multivitamin supplement may help to top up micronutrient needs if your meal supply and timing is unpredictable. Sometimes it is very difficult to always get a balanced meal, so supplementing is an excellent way of ensuring your body is getting everything it needs. I’m a firm believer that if you are placing extra demands on your body than the average sedentary person does, then you need a higher level of nutrition than the average person. In the same way that a performance racing engine needs a higher quality fuel than your average car, so does your body when pushing it to the limit. There are some excellent nutrition and hydration supplements available today. 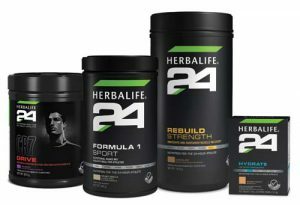 Herbalife Nutrition is a well known and respected nutrition company who have in recent years released a range of fitness and energy products for athletes of all levels called Herbalife24. I have used Herbalife nutrition for over 20 years for protein shakes and general nutrition, so the new H24 products were good news for me. If I only had this during my racing years, it would have been a huge advantage. Cristiano Ronaldo, the world’s highest profile soccer player has partnered with Herbalife to develop the ideal sports drink. CR7 is the hydration and energy product that was developed. It is a carbohydrate-electrolyte solution that enhances your bodies absorption of water. There is also Formula 1 Sport and Rebuild strength, which are your protein shakes, and Hydrate, which replenishes electrolytes, in convenient sachets you can add to your water. There is no one nutrition program to suit everyone, it all comes down to figuring out what works best for you. If you incorporate the nutrition and hydration tips above into your riding, it will help with making you feel fitter, stronger, healthier and have better concentration. That can only help your dirt bike riding skills. 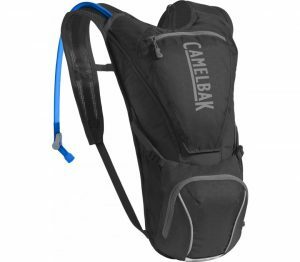 For more on hydration packs: Hydration Pack Comparison – Which Type Is Best For You? Do you have any tips for what works for you with your riding? Have you discovered any snacks or supplements that you can recommend to readers? Please feel free to comment below. It appears that you really have to be prepared for something like this. Of all the things I did when I was growing up, I never rode a dirt bike. I never realized that so much went into planning an event such as this. Is the Herbalife 24 something that anyone can take and not just for an event like this? It’s smart that a lot of thought goes into what you need and how to carry it with you. 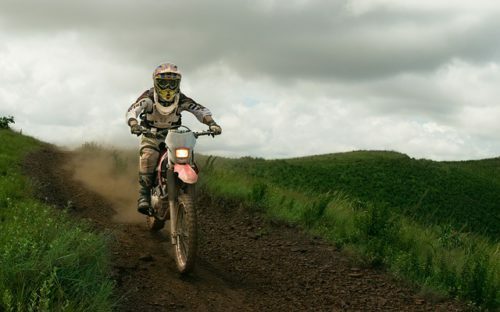 These are excellent tips for dirt bike riders for basic safety and survival. I’m not a dirt biker but I know I can use these tips to help me with my work outs. I know that hydration is one of the key elements to good performance and overall health. When I was a runner, I used to drink quite a bit of Gatorade. What is your opinion about this for replacing electrolytes? Some of the foods you have listed here are ones that I consume on a regular basis – protein bars, porridge, avocado and cereal with fruit. I think these are great recommendations for most athletes and active people. A question about the Herbalife24. Is this a vegetarian supplement? Hi Christopher. Thanks for your comments. The Gatorade is an energy drink that is high in sugar, and would certainly be good for hydration, but not as good as a hydration supplement that is designed purely for increasing your body’s ability to absorb the electrolytes. I certainly wouldn’t put it in a hydration pack. The Herbalife CR7 and Hydrate would be a higher quality choice. All the Herbalife products are OK for vegetarians and vegans. Thanks for your stopping by. Let me know if I can be of any more assistance. Is the Herbalife 24 something that anyone can take and not just for an event like this?It’s smart that a lot of thought goes into what you need and how to carry it with you. These are excellent tips for dirt bike riders for basic safety and survival. Hi Rob, thanks for your comments. Yes, the Herbalife 24 is something anyone can take. It is targeted at people doing energetic activity whether a professional athlete or weekend warrior. Herbalife is a nutrition company that has been around since the 80’s and most of it is for general nutrition and weight loss. If you follow the link and explore the rest of the website, you can see the whole range. I have used them for over 20 years and have no hesitation in recommending it. Thanks for dropping in. If I can help you with anything, please let me know.